While the news cycle of the past two weeks has been preoccupied with a series of sweeping executive orders from the desk of newly-inaugurated President Trump, other changes have been quietly taking place that could have profound implications for the Internet—most notably, how much you pay for it. 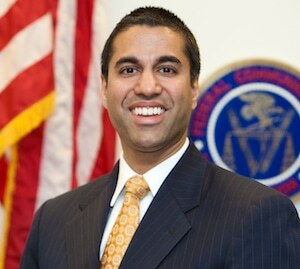 Ajit Pai, a former Verizon lawyer whom Trump tapped to be the new FCC chairman, is an outspoken opponent of the “net neutrality” rules put in place under the Obama administration. The New York Times reports that he has already begun putting through a number of measures designed to undermine and roll back consumer protection policies. While most of us are not yet feeling the effects yet, net neutrality is widely expected to be a target in the days ahead. Essentially, net neutrality is a policy that classifies the Internet as a telecommunications utility that must treat all users the same. This principle, encapsulated in the Open Internet Order of 2015, says that Internet Service Providers (ISPs) cannot prioritize data or speeds according to any extenuating criteria. To put it simply, ISPs can’t charge you based on how fast or slow your Internet content loads, no matter where it’s coming from. Without net neutrality, your ISP would have the ability to prioritize content from its preferred partners while throttling content from their competitors. For example, if your ISP had an agreement with Hulu and not with Netflix, it could theoretically restrict data coming from Netflix servers to the point that your content takes forever to load or doesn’t stream at all. Of particular concern to net neutrality advocates is the emergence of “zero rating” services, which some major telecommunications companies have already begun marketing. Within the zero rating framework, companies pay carriers for “sponsored data” status so customers can stream unlimited videos without it counting against their data caps. One of the most troubling examples of this involves AT&T and its subsidiary, DirecTV Now. As early as last month, outgoing FCC chairman Tom Wheeler sent out a report denouncing AT&T’s sponsored data arrangement with its subsidiary DirecTV as a violation of net neutrality rules, claiming that it could “present significant risks to consumers and competition. […] These sponsored data offerings may harm consumers and competition by unreasonably discriminating in favor of downstream providers owned or affiliated with the network providers,” Mr. Wheeler wrote. Net neutrality levels the field so companies can’t play these kinds of games or create pay-to-play “fast lanes” on the Internet. Your provider can naturally charge you more for faster Internet speeds, but those speeds must stay consistent no matter what content you access. However, with the changing of the guard at the FCC, chances are favorable that zero rating services and similar schemes will expand, ultimately dealing a death blow to net neutrality. Rising Internet bills. As telecommunications companies start identifying “preferred” or “premium” sites, you may find yourself being asked to pay higher rates to access those websites. Rising costs for web hosting. Web hosting companies may also feel the sting of these Internet “fast lanes” in the form of higher costs. As a result, they may be forced to pass those costs onto their customers, or reorganize their offerings into a “tiered” hosting structure. If you pay a company to host your website, not only could your monthly bills increase, but your site’s speed could be throttled until you cough up the money for an upgrade. Unpredictable SEO. As net neutrality begins to affect how different sites load on different servers, expect search engine indexing and SEO best practices to be effectively upended. Furthermore, since load times are factored into page rank along with content relevance, future SEO could be difficult to predict since load times will be affected by who is asking for the content and what provider they are using, rather than the content of the pages themselves. Weaker results from paid advertising. If you use a paid inclusion service like Google ads to promote your business, Google’s Quality Score can suffer if your ad shows up on a slow-loading page. Of course, until net neutrality rules are officially changed, it’s difficult to predict exactly how this will all play out or how it will affect your wallet. Regardless, if net neutrality finds itself on the chopping block, the bottom line is we can all expect to pay more for less.